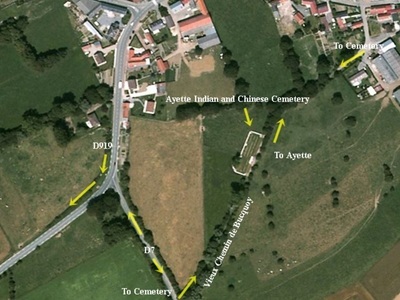 The village of Ayette was the scene of heavy fighting in March 1918 when it was captured by the German forces during the Spring Offensive. 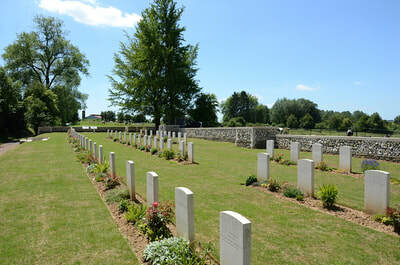 It was retaken by the 32nd Division on 3 April and remained in Allied hands until the end of the war. 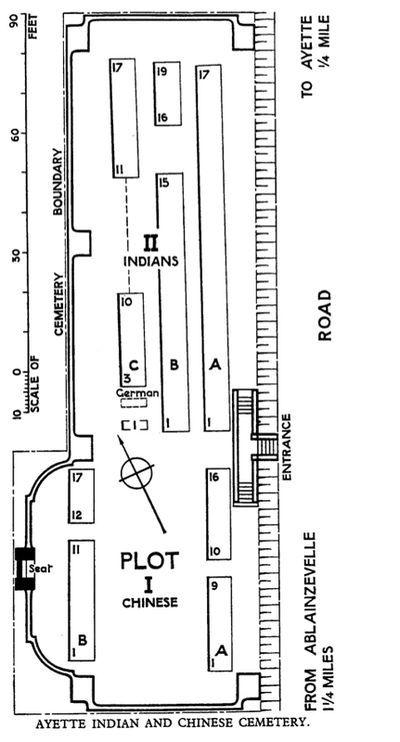 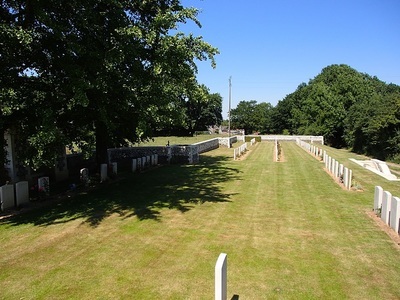 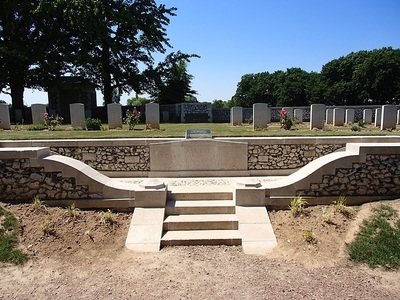 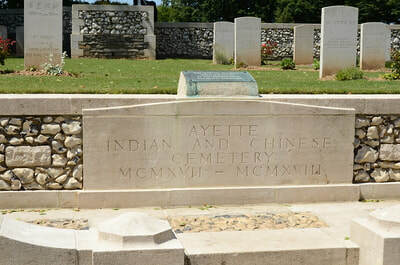 The Indian and Chinese cemetery was established by British fighting troops in September 1917 and used until the following April and again in the autumn of 1918. 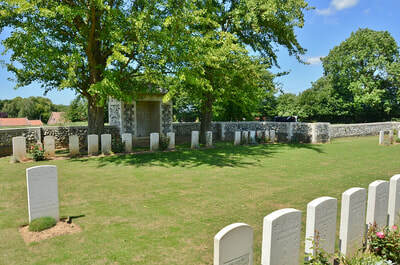 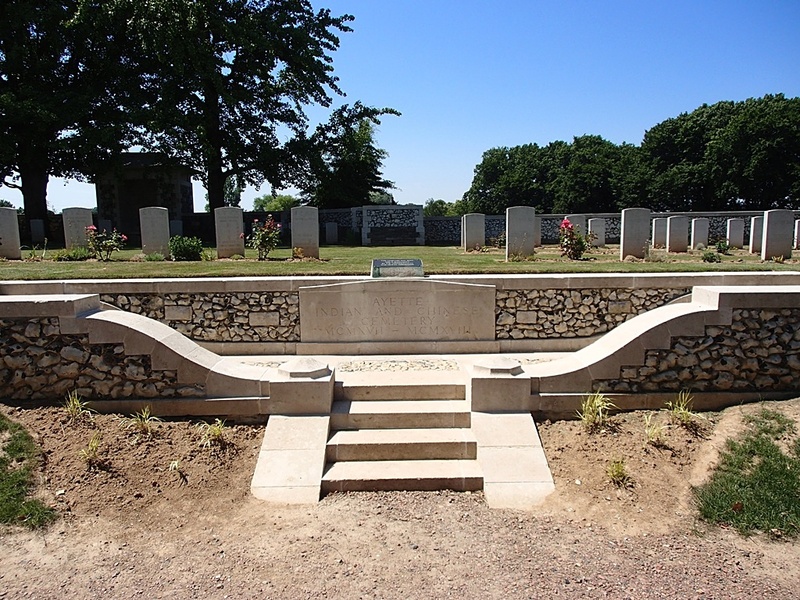 There are now 80 First World War casualties buried or commemorated at this site. 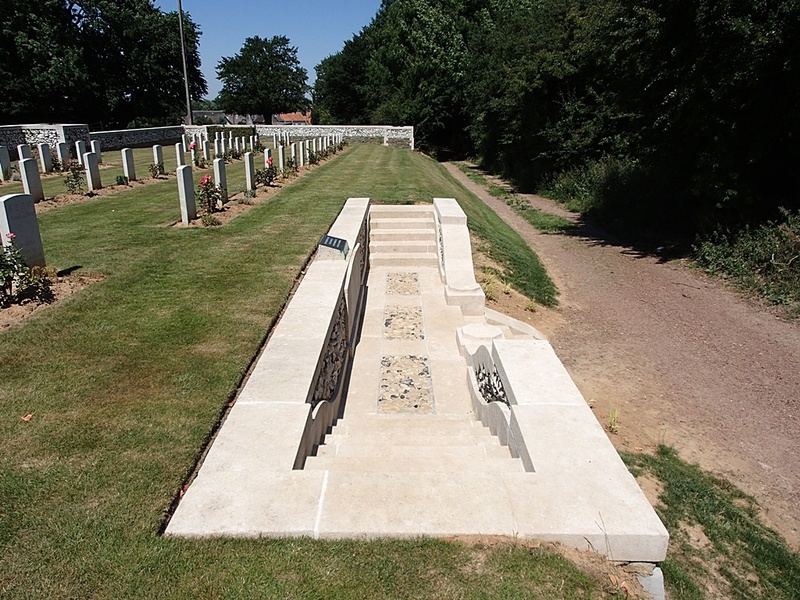 By June 1916, the eve of the Battle of the Somme, the British Army on the Western Front had been transformed from a relatively tiny band of regulars and territorials into a colossal fighting force of over one million men occupying almost 200 kilometres of trenches. 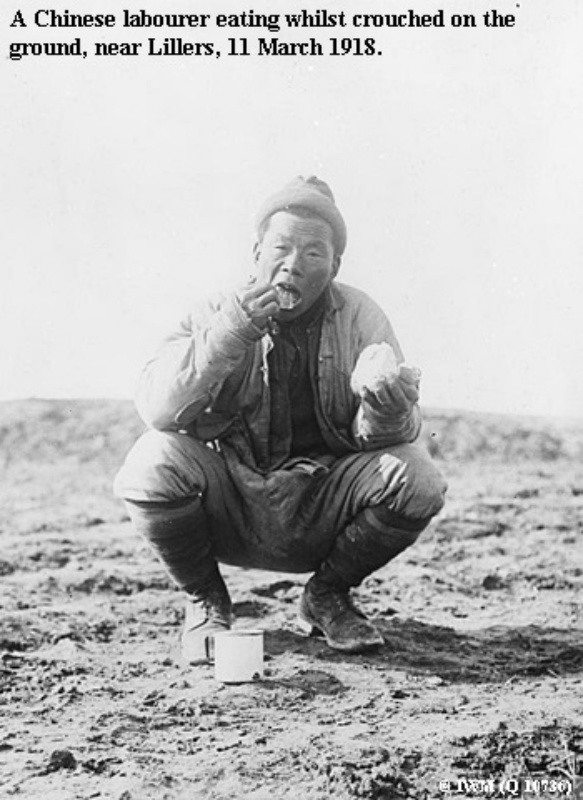 Front-line units had to be constantly supplied with food, ammunition, and war material of various kinds. 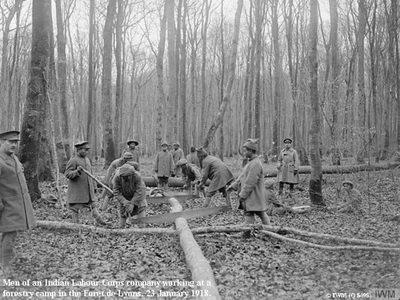 For the first two years of the war, this logistical work was mostly carried out by British labour corps and pioneer battalions or combat troops at rest from the trenches. 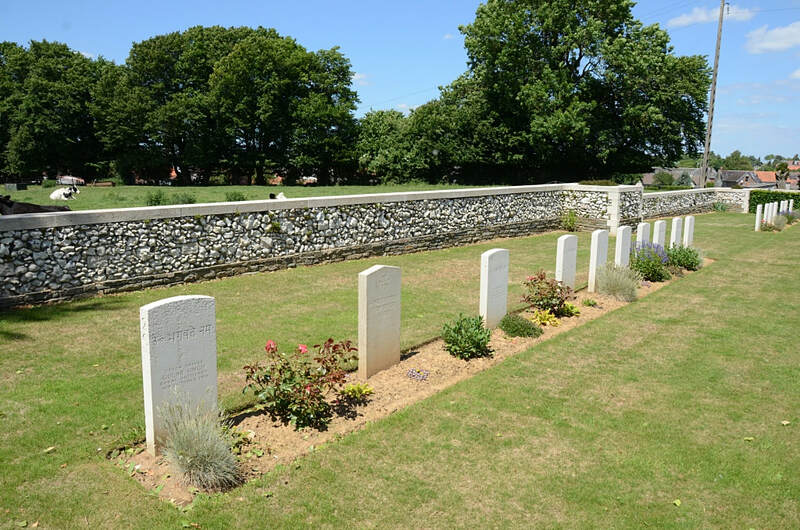 These men also built camps, salvaged weapons and munitions from the battlefields, and carried out vital repairs to roads, railways and airfields. 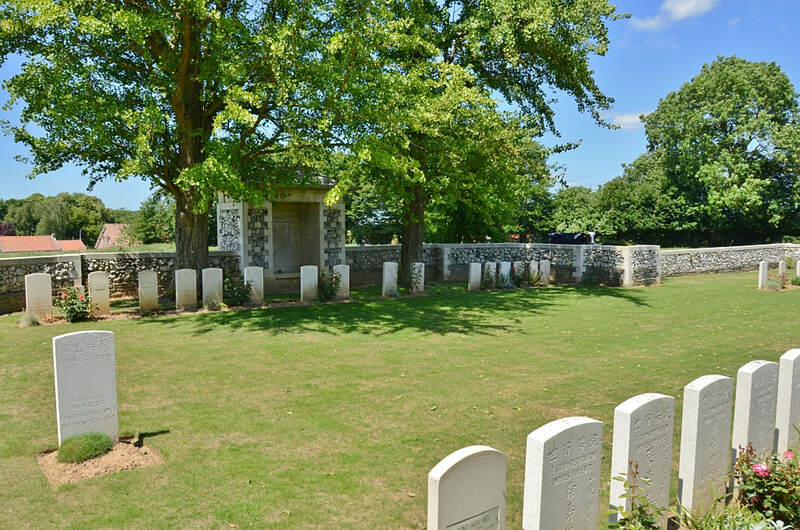 The vast number of casualties suffered during the Somme offensive meant that by the autumn of 1916, the demand for labour on the Western Front had become more critical than ever. With every able-bodied serviceman now needed at the front, Britain began to look for fresh sources of manpower. In October 1916, the War Office approached the then neutral Chinese government with a plan that would lead to the formation of the Chinese Labour Corps (CLC). The Corps was to be non-combatant but attached to the British army and subject to military control and discipline. 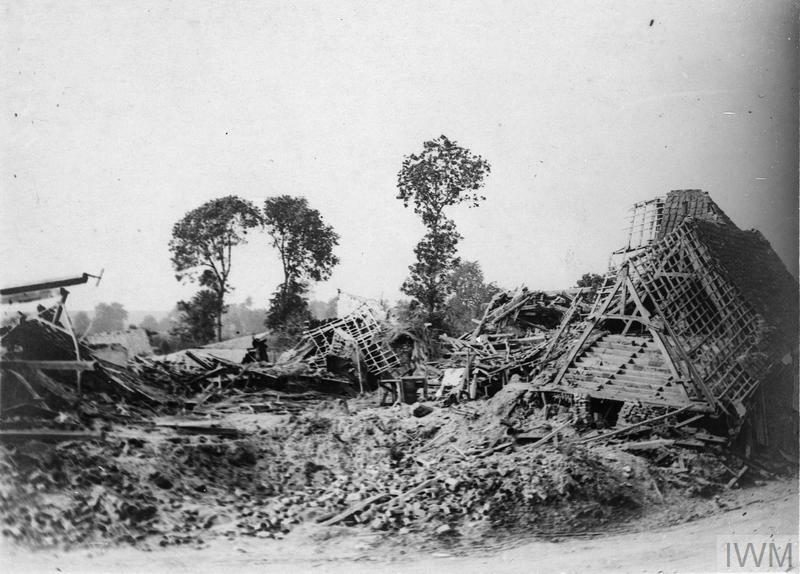 The call for volunteers was spread by public proclamation and by British missionaries based in the Chinese provinces. The relatively high pay and other benefits offered to prospective recruits were tempting enough to encourage thousands of men, mostly poor peasants from the northern provinces of Shantung and Chihli, to pledge three years’ service. The first transport of Chinese labourers made its way to Europe via Canada at the beginning of 1917. 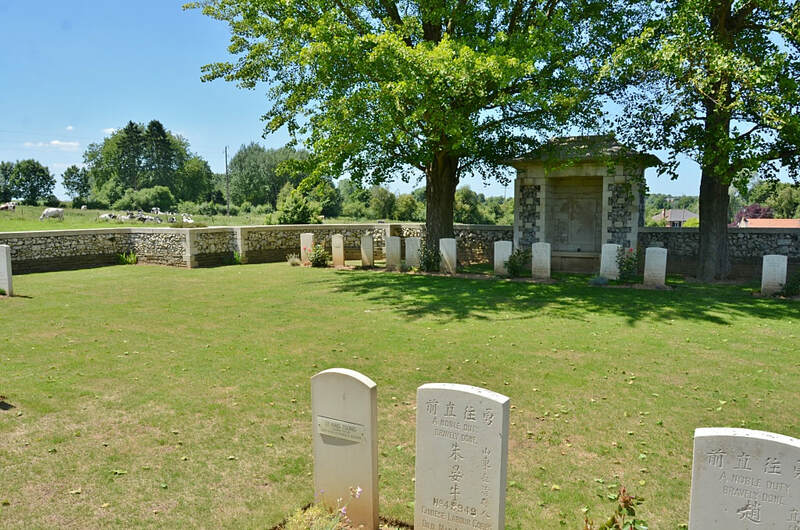 By the end of the year there were 54,000 Chinese labourers attached to the Commonwealth forces in France and Belgium; by the Armistice this figure had doubled. 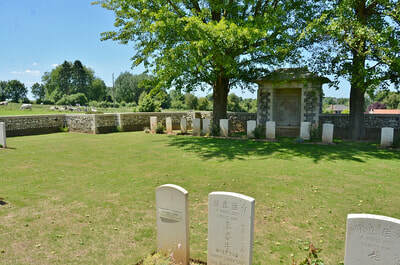 Labour battalions composed of men serving with the Indian Corps had been used on the Western Front since September 1915, but steps toward the formation of separate Indian Labour Corps (ILC) were not taken until 1916. 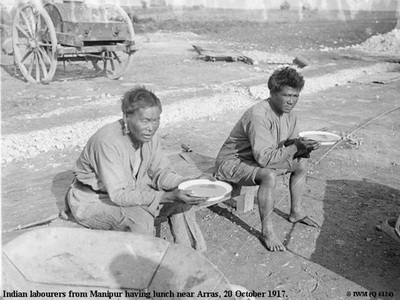 The civil authorities in the various Indian provinces were asked to begin recruiting manual labourers and the first Indian workers arrived in Marseilles in June 1917. 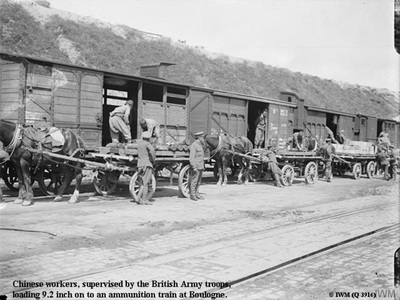 By the end of August over 20,000 workers had been transported to France. 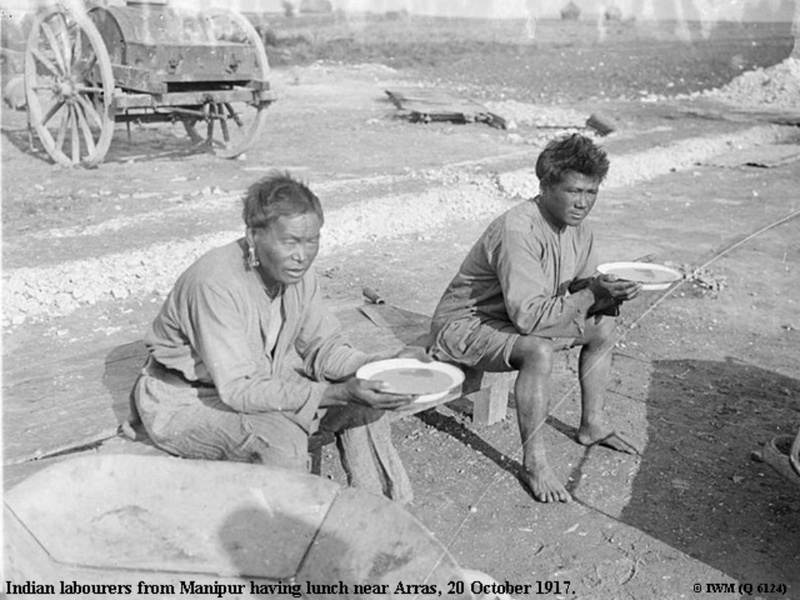 Both the Chinese and Indian Labour Corps were administered and directed by officers of European extraction, many of whom were former civil servants or missionaries who were able to communicate with the workers but had little military experience. 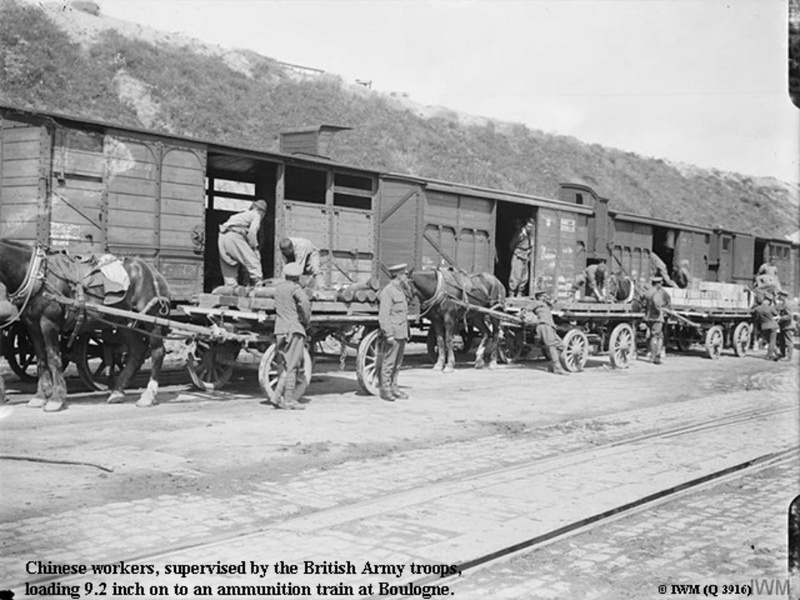 Throughout 1917 and ’18, the men of the ILC and the CLC performed vital transport, maintenance, salvage and construction work on the Western Front and made a major contribution to the Allied war effort. Some labour corps units remained in France after the Armistice and took part in the clearing of the battlefields, a task that involved the exhumation and re-interment of tens of thousands of Commonwealth soldiers. 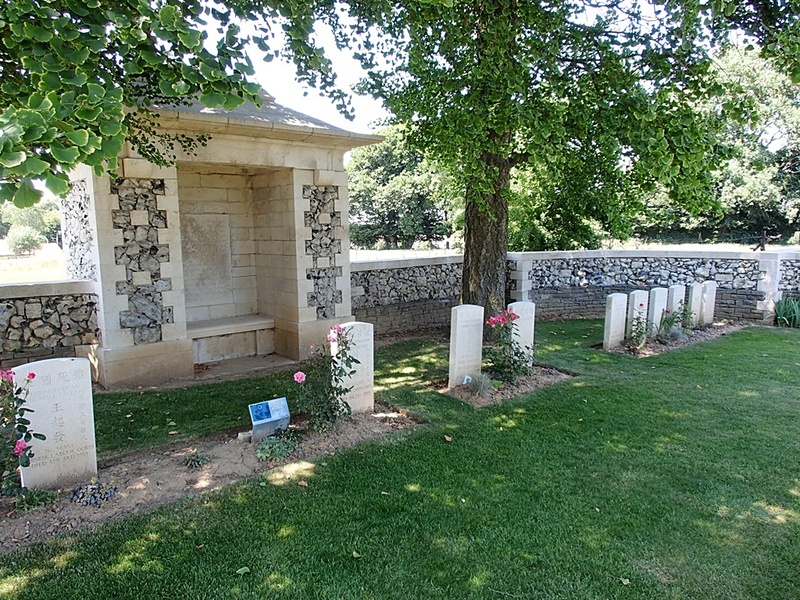 Although they were usually deployed outside the range of enemy guns, hundreds of labourers fell victim to long-range shelling, air raids, and enemy action during the German Spring Offensive in 1918. 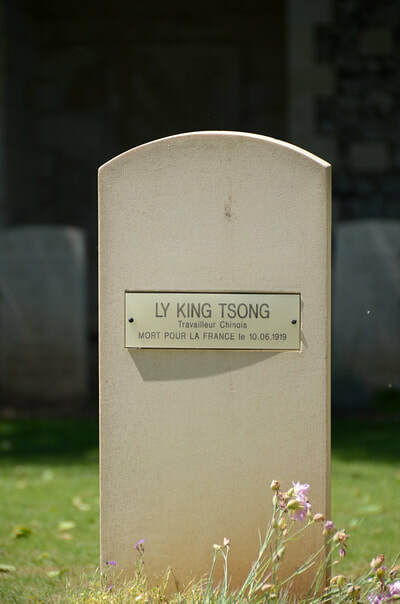 Illness claimed the lives of many more, particularly during the influenza pandemic of 1918. A total of 2,000 Chinese and 1,500 Indian labourers died while serving on the Western Front.